The next version of Blender, 2.80, will break existing addons. 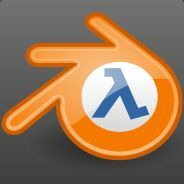 There is now a beta version of the Blender Source Tools, 2.11, available from GitHub[github.com] which targets this new version of Blender. It will not work in earlier versions. There is not a downloadable zip file at this stage. This beta adds supports for collections and removes features related to face textures, but is otherwise unchanged from 2.10. If there are any new features in Blender 2.80 that you think could be relevant to the importer or exporter please let me know in the comments! Fixed importing DMX files created by 3DS Max. The perverse thing was a real nightmare, seriously.